Fee: $30/$25 members - includes an autographed copy of Night of Miracles, refreshments, and admission to the sculpture garden (come early to stroll the grounds). Tickets available day-of. 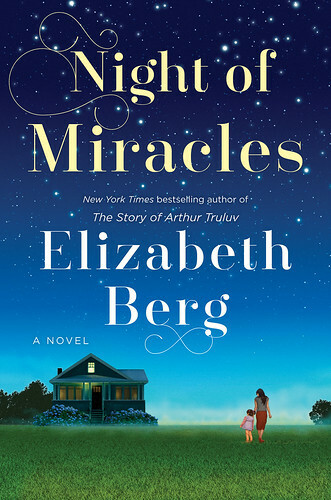 Lynden Sculpture Garden's Women's Speaker Series and Boswell Books welcome Elizabeth Berg, author of Night of Miracles, back to the Lynden Sculpture Garden, Wednesday, November 14, 7 pm. For more information on upcoming Women's Speaker Series Events, click here. A delightful novel about surprising friendships, community, and the way small acts of kindness can change a life, from the bestselling author of The Story of Arthur Truluv. Elizabeth Berg is the author of many bestselling novels, including The Story of Arthur Truluv, Open House (an Oprah’s Book Club selection), Talk Before Sleep, and The Year of Pleasures, as well as the short story collection The Day I Ate Whatever I Wanted. Durable Goods and Joy School were selected as ALA Best Books of the Year. She adapted The Pull of the Moon into a play that enjoyed sold-out performances in Chicago and Indianapolis. Berg’s work has been published in thirty countries, and three of her novels have been turned into television movies. She is the founder of Writing Matters, a quality reading series dedicated to serving author, audience, and community. She teaches one-day writing workshops and is a popular speaker at venues around the country. Some of her most popular Facebook postings have been collected in Make Someone Happy and Still Happy. She lives outside Chicago.